Just got back from out first trip to Gloucester. Had no idea where to stay but took a chance and booked online!! Hotel was awesome! All rooms have stunning views of Good Harbor beach and they give you a $10 off voucher for beach parking. So close you could walk but with the kids we didn’t! The rooms and the grounds were immaculate! The staff was very friendly and helpful! We will definitely stay here again! 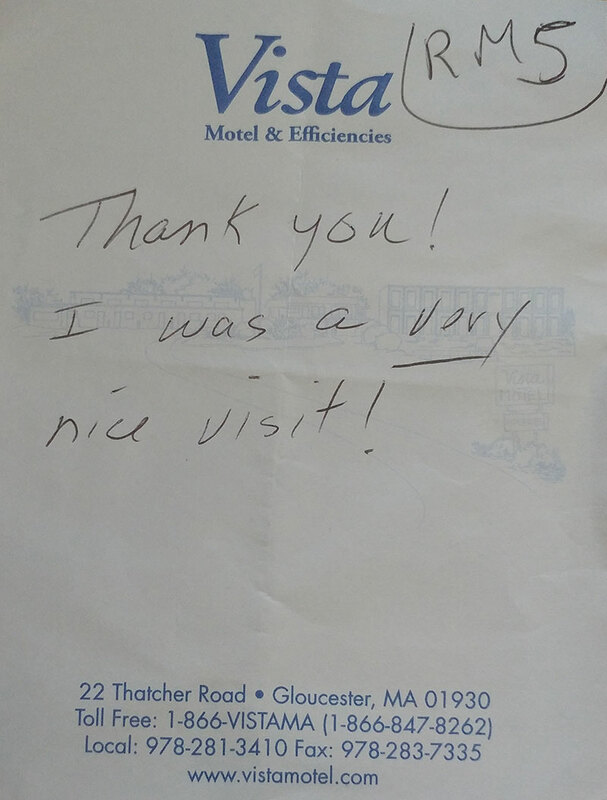 We were looking for a place to stay in Cape Ann. . We feel so lucky to have picked the Vista Motel. It was better than expected. Really hope I can go back again. Clean, friendly, free great breakfast, heated pool, big room, and a balcony with a view to die for overlooking Good Harbor. If you need a place to stay, don’t hesitate to stay here. Military discount also…. Deserves 5 stars and more. This was our first stay and won’t be our last. 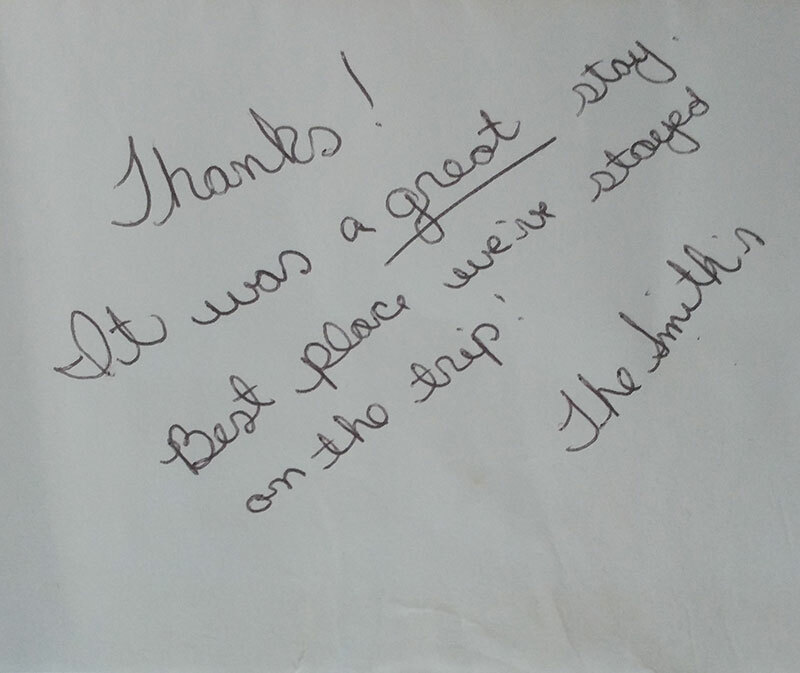 They far exceeded our expectations and their staff were all amazing. While they are pet friendly, I have 2 service dogs and they addressed our concerns immediately when another dog proved to be a challenge for my boys. 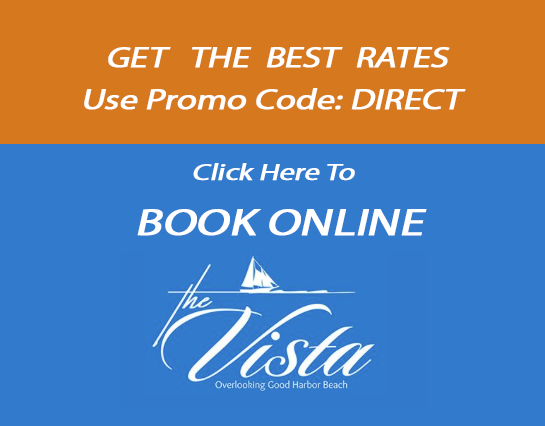 They have amazing view, grounds immaculately maintained, rooms are great over looking the ocean, they have a great dog park, their staff always have a smile and are ready to help with anything and the owners are both genuine people who truly want to make your stay an enjoyable one. I can’t wait to be going back in a few weeks and will be staying with them every time I’m in town! Friendliest staff I’ve encountered at a motel, everyone! Nice size basic rooms with the bonus of a microwave + fridge. Squishy bathroom. Clean and quiet. My kids loved the glow sticks, nice touch! WiFi was lousy but oh well! This is the second year the wife and I have stayed at the Vista and we love it as much as the first! Views of Good Harbor Beach from Every Room! The Vista was recommended by a friend so we booked our stay online. Very nice establishment offering views of Good Harbor Beach from every room! Super clean both inside and out, friendly and helpful staff and they offer a $10 beach parking discount voucher if you ask. Continental breakfast included! Location is also so centrally located, you can visit surrounding towns in minutes. 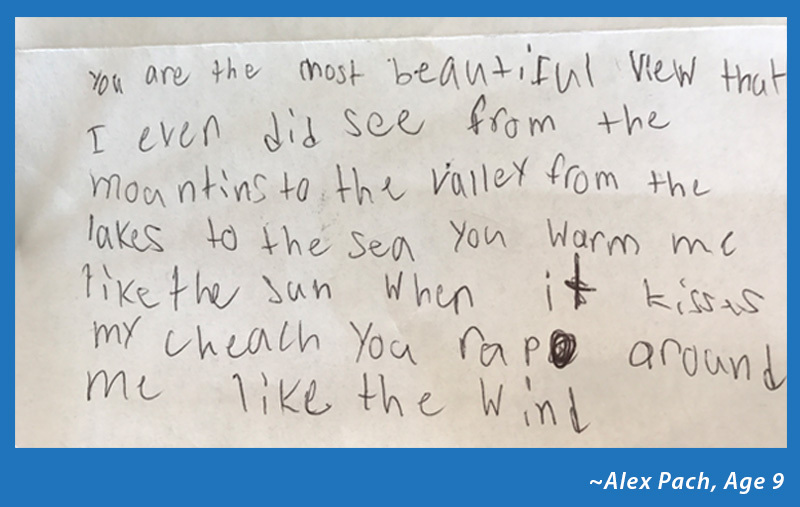 We are already looking forward to our next visit! Being from Pennsylvania I like to see covered bridges all over the country and saw one listed in Gloucester and found out how to pronounce it correctly! Needed a place to stay and found this place online. Very clean and neat and comfortable. We had a water view and loved walking through the town. Would like to come back when warmer and use their beautiful pool! My husband found this hotel on line so we booked it and were so pleased with what we ended up with. This is not a high speed glitzy hotel but a very comfortable low key relaxing place to spend your summer vacation. I think we will make this a yearly treck. There’s lots to see in Gloucester and we’ve just scratched the surface. We’ll be back!! The Vista met all our needs and exceeded our expectations. We stayed here four nights in one of their Premium rooms (which has a small kitchenette). The Vista met all our needs and exceeded our expectations. It is one of the most well-run hotels I have stayed in. Everything is very clean and works well. 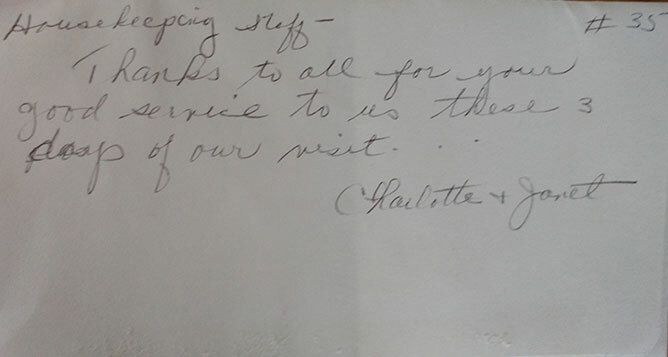 Every single staff person we interacted with was friendly, helpful, and professional. This place is not fancy, but it is everything I want in a hotel by sea. And the views, ah the views. Amazing Find - Rooms Were Nice and EXTREMELY CLEAN! This place was an amazing find. Rooms were nice and EXTREMELY CLEAN! The service was friendly and informational. The motel is only 5 minutes from the train station which made traveling to and from Boston very easy. Looking forward to staying there again next time we are in the area! Such a great place to stay in Gloucester. Highly recommend! Hotel was awesome! All rooms have stunning views of Good Harbor beach and they give you a $10 off voucher for beach parking. So close you could walk but with the kids we didn’t! The rooms and the grounds were immaculate! The staff was very friendly and helpful! We will definitely stay here again! When I researched hotels in Gloucester this one was half the price of others. I just knew it was going to be a dump. The grounds were immaculate. The staff helpful and joyful. The view perfection. The location convenient to everything. The rooms are mini-apartments. We wanted for nothing. I had never been to Gloucester, but thanks to Vista I will return.